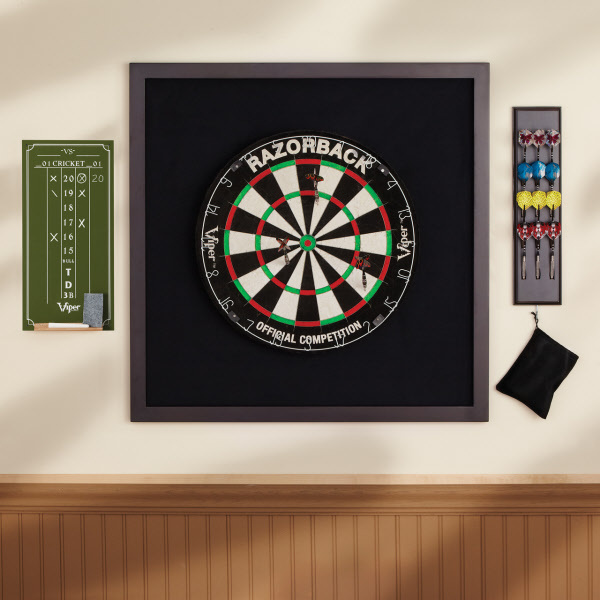 Keep all of your darts organized and in one place, next to your dartboard. Perfect for players of both steel tip and soft tip darts, this caddy holds both. 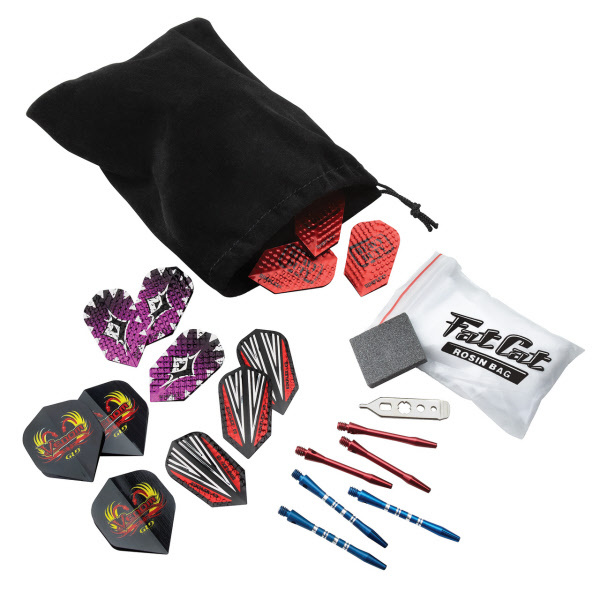 Holds four complete sets of darts, without squashing your flights. Additional accessory bag can hold all of your spare bits.